To Summarize: We looked at a wide variety of sailing watches, investigating what we thought were the main things that sailors would find useful. Through our investigations, our pick as the best sailing watch that we looked at was the Optimum Time Series 3 Sailing Timer. This was our winning watch last year, and in 2019, we still can't go past it. We really liked this watch for a variety of reasons, however, at the top of the list was its practicality when on the water. It was also very reasonably priced… definitely not over the top, especially when compared to some of the fancier watches on the market. It may not be the most attractive watch going around, but for most sailors, it’s more about how it works rather than looking flash out on the water. For a good looking watch, we liked the Sperry Top-Sider Men’s 10023535 Sharktooth. 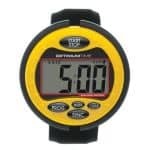 Ronstan Clear Start Sailing Watch 5 ATM (50m/150ft) 2-Year Amazon.com Warranty provided by Asurion, instead of the manufacturer. 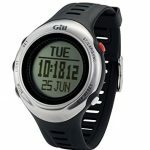 Gill Men’s Regatta Master Watch 50m / 165ft Please contact the seller directly for warranty information for this product. 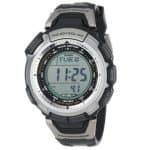 Casio Pathfinder Watch 100m / 330ft 2-Year Amazon.com Warranty provided by Asurion, instead of the manufacturer. For sailors, sailing watches are more than just fashion statements. They are not a trendy fashion accessory that sailors wear as a symbol of stature. 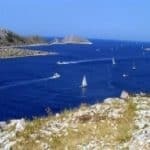 More than anything else, a good sailing watch is a vital tool, an integral part of every sailing outing. A sailing watch is just like a good comrade – reliable, trustworthy, and dependable. 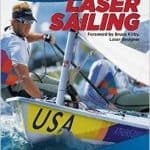 They excel in the rugged, rough and tumble sailor’s lifestyle and able to keep a good time just the same. They have an array of functions and features that are especially useful when racing or cruising. Every serious sailor owns one. A seasoned sailor knows exactly what to look for and what they want in sailing watches. Of course, every individual has their own preferences. Whether they are looking for basic functions or more high-tech capabilities, every sailor has a perfect watch in mind, with water resistance, easy to see display and ease of use being at the top of many sailor's lists. 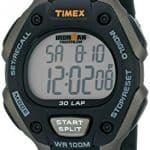 This watch has an oversized display which is perfect for hitting the starting line on time. As would be expected, the watch has a number of settings important for sailing, including time and countdown & up. The buttons are so prominent that it is just impossible to miss them. It also beeps for low battery warning. It fits well with any wrist size. 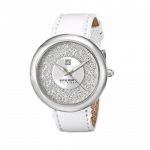 Ronstan has a number of different styles of watches on the market, so you are bound to find one that you like. For the best price for the Ronstan Clear Start Sailing Watch, click here. 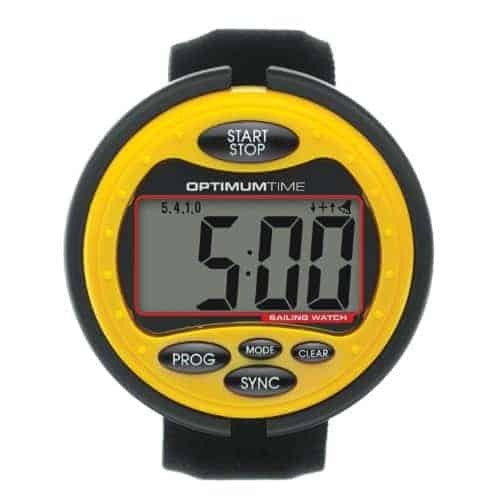 This Optimum Time Sailing Timer makes it easy to start your countdown when the gun goes so you won’t miss the start. It has some great features that are specifically designed for sailors, such as 5, 4, 1, 0 start sequence with audible tones, and a “sync” button so that you can instantly sync your countdown if you do miss the gun by a little. The extra large display (16mm or 0.63in digit height) makes catching the time left before a start easy. It also comes with an elastic strap so that you can wear it on your wrist or over sleeves, as well as a mast/boom mounting bracket for even more viewing options. As well as being one of the best countdown timers on the market, it will also work well as your day-to-day watch. 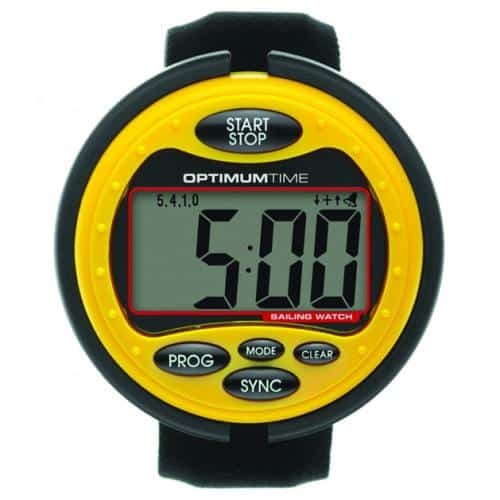 For the best price on the Optimum Time Series 3 Sailing Timer, click here. This watch is more than just a sailor watch... it has heaps of cool features that will serve you well on and off the water. 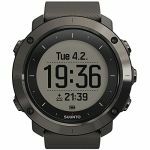 The watch has an in-built GPS, compass, barometric trending functions, and flashlight to keep you out of trouble. You can track your movements and transfer it wirelessly to a map when back on shore to visualize your course over the day. Of course, it is water resistant, up to 100m / 330 feet. 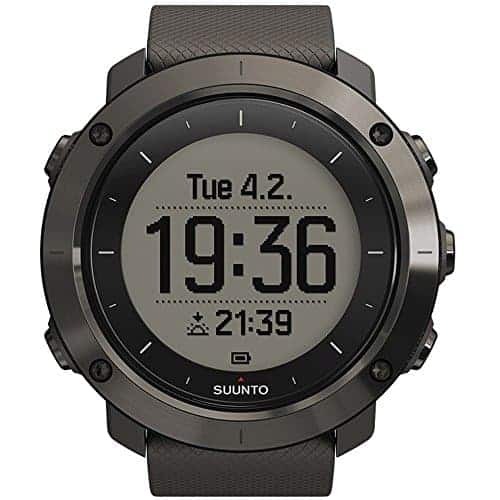 For the best price on the Suunto Traverse watch, click here. This is a no-nonsense type of sailing watch that suits most wrist sizes, even those who have smaller wrists. Starting and resetting the countdown is easy, and following race starts for the team becomes simpler with the rolling countdown option. 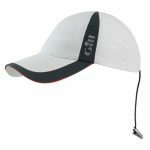 It is also water resistant up to 100m or 330ft. 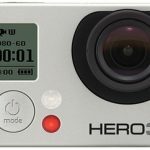 It's at the more affordable end of the spectrum, so if you are looking for something a little cheaper, then make sure you check this one out. 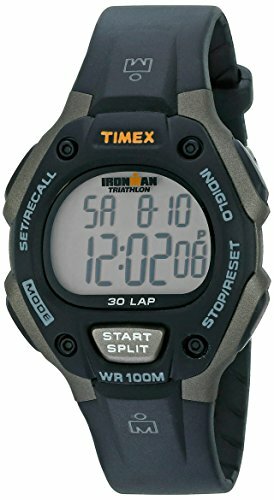 For the best price on the Timex Ironman 30-Lap, click here. This sailing watch not only has a large display in the last minute of the countdown, but is also audible. It can be programmed to start a timer or go into the next start. Using a single button, the user can harmonize it depending on his or her preferred settings. The compass is easy to calibrate, it has a lock function feature for saving coordinates, and has a backward bearing mode. 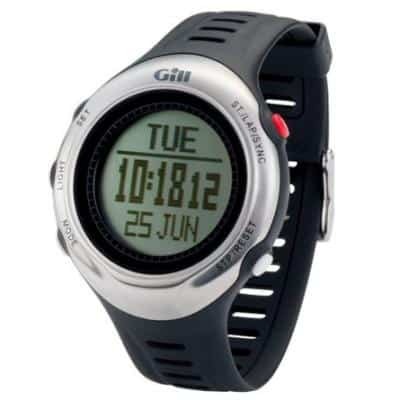 For the best price on the Gill Men's Regatta Master Watch, click here. This Casio sailing watch features so many functions that are useful in any sport. 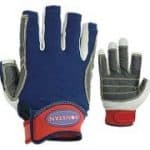 However it has details that are especially vital to sailing such as large function buttons that allow easy manipulation even when the hands are wet or wearing sailing gloves, the key functions are intuitive and it does not require frequent revisits to the manual. Pressure changes monitoring of the barometer are graphically depicted as trends, and the watch has a digital compass that could come in handy in case of an emergency. 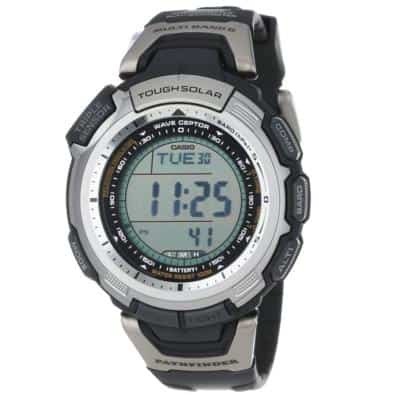 For the best price on the Casio Pathfinder, click here. This sailor watch features so many functions that are useful in any sport. However it has details that are especially vital to sailing such as large function buttons that allow easy manipulation even when the hands are wet or wearing sailing gloves, the key functions are intuitive and it does not require frequent revisits to the manual. For the best price on the Nautica Men’s N09915G Sport Ring Multifunction Stainless Steel Watch With Two Bands, click here. Here is a classic looking round black watch that features a sweeping second hand. There is also a date window, a textured face, and embossed bezel. The stainless steel case is 41-millimeters in diameter and has a mineral dial window. 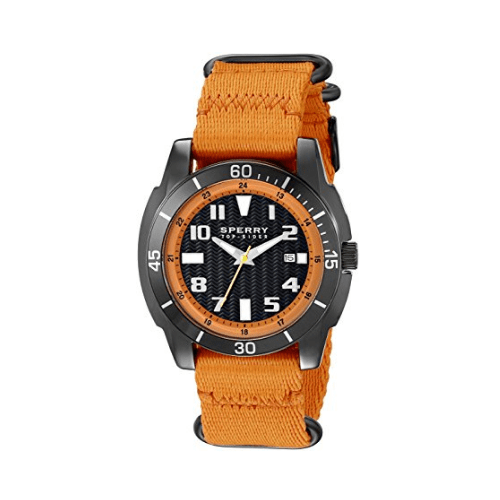 The watch contains a Japanese quartz movement with analog display and comes with an orange canvas band with buckle closure. Water resistant to 50-meters / 165-feet and the manufacturer states this watch is best suited for recreational swimming and not diving or snorkeling. If you are looking for an unusual and elegant watch, this would be a good choice. It has a round dress with white leather band. The dial is numberless but sparkles and has a logoed silver-tone subdial. The stainless steel case is 40-millimeters in diameter and includes a mineral dial window. The watch has a Japanese quartz movement and analog display. The band is made from leather calfskin and comes complete with a buckle closure. It is water resistant to 50-meters / 165-feet. With either, it is important to have an easy-to-read layout, with large digits and fluorescent hands/digits or good backlight. Personally, I prefer a digital so that I can set the countdown timer with ease, and you can get them with very large displays so no mistakes are made in the battle at the start line. 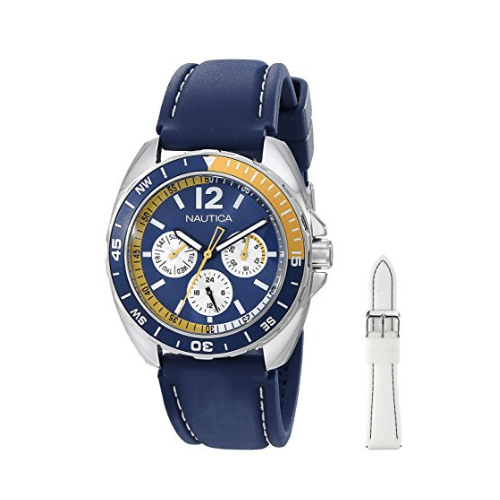 This goes without saying (but I’ll say it anyway)… if it’s not water resistant, then don’t wear your watch sailing. That being said, the water resistance numbers (eg. Water resistant to 30m) doesn’t actually mean that they can be worn down to that depth. This has always baffled me, but mainly has to do with the new watch being initially tested in ideal conditions (with water pressure and temperature not changing rapidly), with the seals being brand new and watch itself being in perfect condition. For some more info on how deep you may be able to go with your watch, check out this article. If you do get your battery replaced, make sure that your watch is pressure tested afterwards to verify integrity. Obviously, for sailing, it’s good to have a countdown feature. Another handy feature is an option to sync the countdown, so if you miss the 5-minute gun, you can sync it easily when it is coming up to the 4-minute mark. Another great feature is having an audible alert during the countdown sequence. In addition to the alert at the start gun time, good sailing watches also have extra alert tones that go off at various intervals. This means that you can focus on watching the water, sails and other boats than having to drop your eyes to your watch all the time. You also want your watch to be easy to use. There is nothing worse than being out on the start and trying to navigate through the watch menus and trying to set the countdown timer but having difficulty. The easier it is to use, the better. That being said, spend some time at home before your next race to get up-to-speed with how the watch works. Spending time familiarizing yourself with all the features and how the watch works will be time well spent. Watches these days can be like miniature Swiss army knives – they can have all sorts of features. Eg. GPS, compass, barometer. Some features are nice to have, but may not be worth the extra money. Try to work out exactly what you need, and ensure that your watch does it all well. Check out reviews and YouTube videos (see more info in our reviews below) for other’s opinions and to take a closer look. Some sailors like to wear watches over the top of their short or jacket so they can easily check the time. If this is your preference, then you want to be sure that the band size is large enough to accommodate this. Additionally, you want the band to be comfortable and, since the watch will quite likely get knocked about while sailing, it has to be strong and keep the watch secured (ie. Not come undone easily). A strap made of silicone or rubber is also good since it does not absorb water, making it more comfortable to wear even when wet. A sailing watch is a vital sailing instrument and a serious implement that any skipper cannot do without. 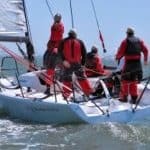 If you are a long distance sailor, you may not realize that they can now come with a barometer and can detect variations in pressure, an important factor in predicting the weather. Some racers love to have chronograph movements and compasses that detect line bias and bearings. These might be nice to have but may be more than just the basics that you really need. And for others, it's not so much about all the functions that can help with sailing but more about the look when back at the bar. However, whatever your reason for having a favorite watch for sailing, with the range that we have provided above, we should have you covered. What’s Your Preference In Sailing Watches? These are just a few of the many watches that sailors can find on the market today. You can find many different makes and models on the internet, so you are sure to find one that precisely meets your requirements. Have a look at some more of our picks here. Sailor watch makers are conscious of what sailors want with their watches and are endeavoring to produce ones that can truly meet the requirements of sailors. 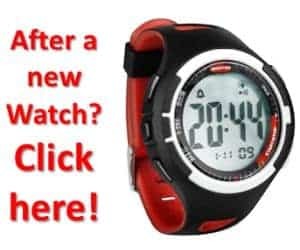 There are some excellent watches out on the market these days which can make deciding on the best watch for your personal circumstances difficult... hence why we have put this list together to try to narrow down the choices to some of the better ones on the market and make it a little easier for you to choose. Sailing watches are reflections of the character and requirements of the user. So whether you opt for a simpler watch with only the basic functions or go for the more sailing-specific features, the best sailing watch is the one that is a perfect match for you... and this will be different for different people. But no matter how serious you are about your sailing, make sure to check out the watches above, as they will be a good start. If you’re a keen sailor, please let me know in the comments section below... What's your personal choice for the best sailing watch on the market? What are the best Sailing Gloves? So What Really Is The Best Sailboat? 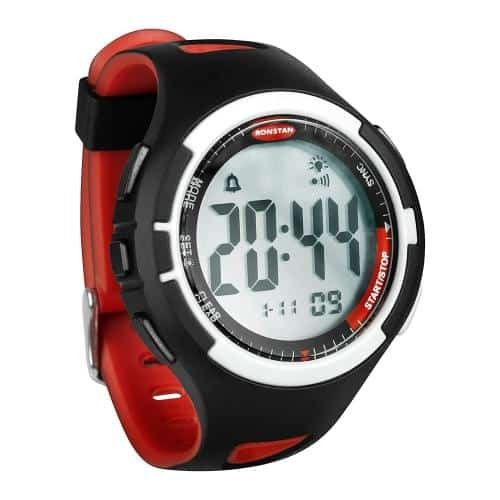 I’m a fan of the Casio Men’s F201WA-9A Multi-Function Alarm Sports Watch — simple, cheap, reliable. At $11, it’s easy to pack spares for teammates that forget to bring their own, and it’s no big deal if you lose one overboard. It has simple functionality so there is less to go wrong in a starting sequence. I haven’t seen this one before. It is definitely well priced, and has some good reviews. At that price, you can pack a few spares. Nice idea. Sorry to hear that you have had issues with the Optimum 3. And surprised that you did not get a reply to your feedback. I have not heard anyone else having issues like this. Disappointing especially since it was out of warranty. Yep, I had an Optimum 3, loved it for its big numbers, easy buttons on top – avoids having side buttons which can be activated by jacket cuff as on previous watch. However, out of warranty, my buttons gummed up and failed to operate too. So then I bought an Optimum 2, out of warranty I capsized big time, had to swim to boat, some moisture got in watch. In removing steel back to dry it, the strap fixing points broke off the watch, they could be seen to be half broken through already! No more Optimum Time, give me Casio Quality. Hi Jack. Thanks for your feedback. Interesting. It’s a pity that some are having issues with the Optimum 3… as a sailing watch it has a lot of good design features. Have had 4 Optimum time watches, series 11 and 1 series 3, and they have all leaked. The series 3 pops out of its plastic holder unless you tape it in, the strap is worse than knicker elastic. I won’t be buying Optimum time again, they look good and work well but the quality is terrible. Recently I’ve been using a Gill W013 which is brilliant, no leaks so far. The Gill can be locked so you don’t hit buttons accidentally during the start sequence, the sync is excellent and it’s really easy to reset for recalls etc. The only gripe is I’ve just broken the strap catching is in the main sheet during a gybe, just waiting to see what Gill can sort out of if they’re going to expect me to buy a new watch.